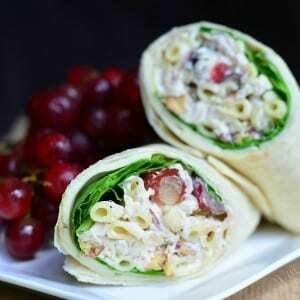 This is my all-time favorite chicken salad recipe, and it’s actually an improved version. 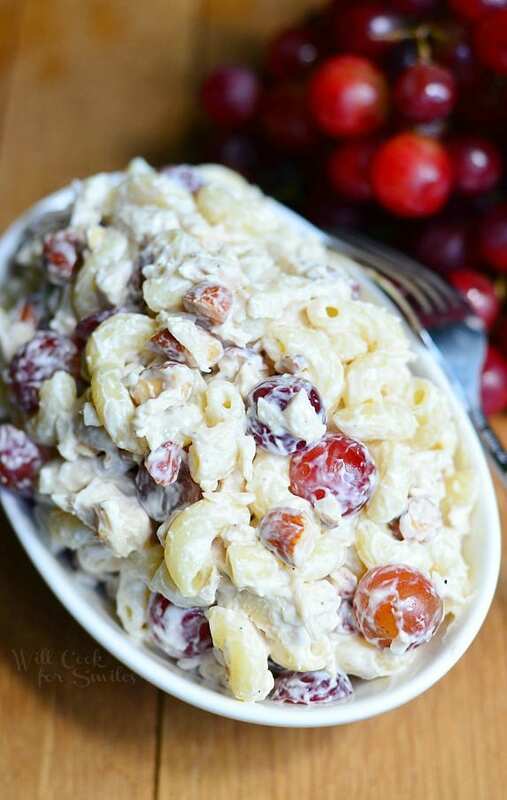 Delicious Chicken Salad made with elbow macaroni, grapes and toasted almonds for that crunch we all love so much. 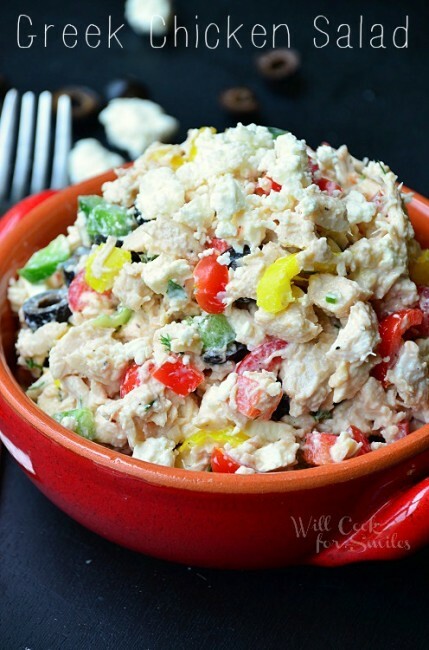 As I mentioned above, this is my absolute favorite chicken salad recipe. I’ve been making it for nearly fifteen years now. I first tried this recipe back when my family owned a restaurant and it was often our lunch special. That was my first experience with having sweet fruit in savory dishes and it blew my mind. I have one thing to say, if you haven’t tried it…do it now! Pop of sweetness in a savory dish is an amazing food experience. Now, I already have this recipe on the blog but it is older than dirt. I made it years ago and the photos, as well as the recipe, needed an improvement. Over the years, I’ve improved this recipe and it’s about time I share my improved version of this salad. I got some beautiful little seedless grapes from WalMart this week so it was a perfect time to remake my salad. As always, I was very happy with the way it turned out. 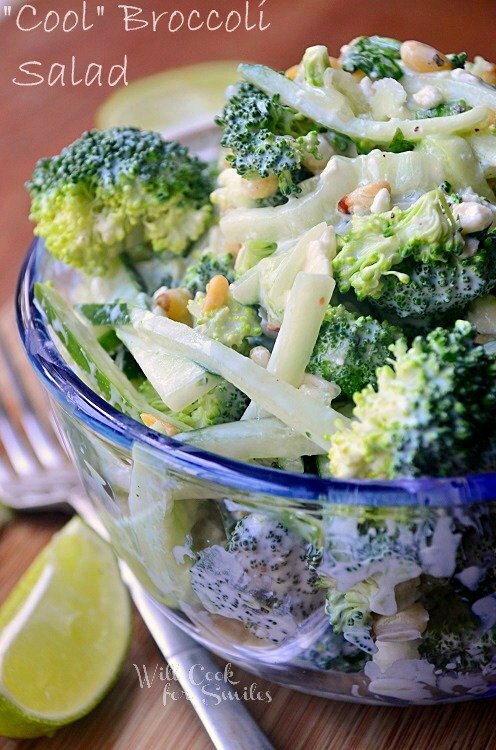 I can eat this salad for days. 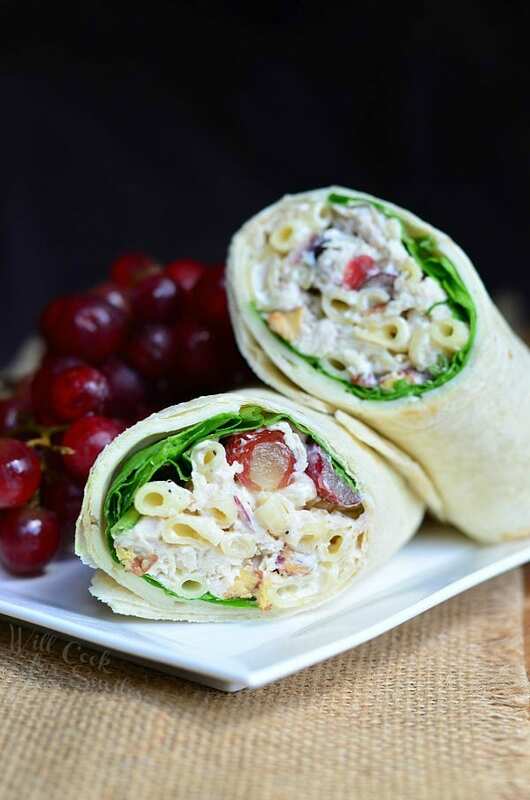 First, you can serve it on the bed of lettuce or spinach with some fresh veggies or you can make this delicious chicken salad wrap. This wrap is so easy to make. All you need is one large flour tortilla, two slices of Havarti cheese and a handful of fresh spinach. So tasty and all the flavors jump out as you enjoy each and every bite. 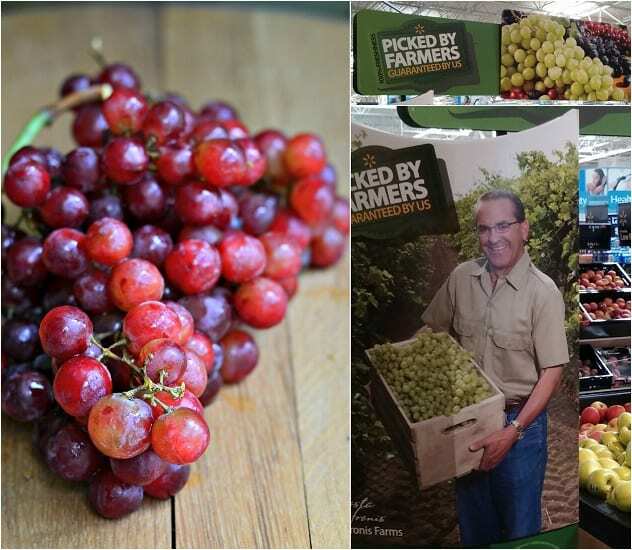 WalMart’s is always proud to carry fresh, farmer picked produce with a 100% money back guarantee. Right now they have some wonderful looking (and tasting) grapes. For some buying tips, storage ideas and health benefits you can visit their website right here. 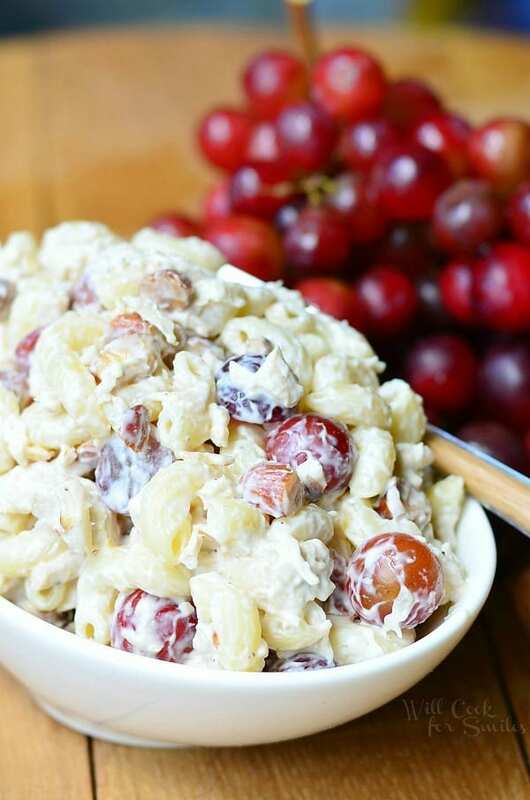 Delicious Chicken Salad made with elbow macaroni, grapes and toasted almonds for that crunch we all love so much. Boil chicken until fully done and set side to cool until it can be handled. Cook pasta according to box instructions, drain and set aside in a large mixing bowl. Once chicken is cooled enough, dice it into small cubes and add it to pasta. Add chopped grapes and almonds. Season with some salt and pepper and mix well. In a small mixing bowl, combine mayo, sour cream, Worcestershire sauce, lemon juice and grated garlic. Mix well. Mix mayo mixture into the salad, making sure it's all evenly distributed. Full of flavors, and textures, all in a wrap to go, I love it. 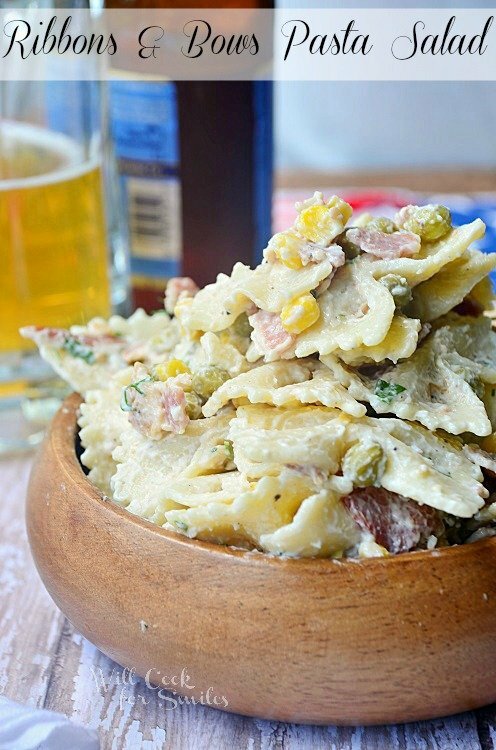 You totally take chicken salad to the next level by adding pasta! Do.Want.LOTS of carbs when I eat a savory, full of flavor recipe and this fits the bill. LOVE the addition of grapes for a pop of sweetness. Great recipe, Lyuba! Haha! That’s right, chicken salad 2.0! This looks amazing Lyuba! I can see why you have been making it for 15 years! I can see why you have continued to make this recipe. Chicken salad sandwiches are my all time favorite sandwich. 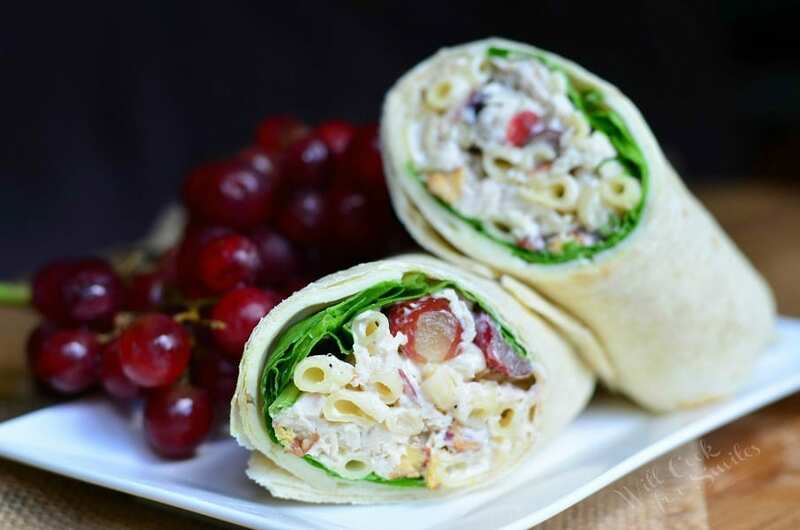 I have never done it with macaroni in it before, but I think that is an inspired idea for a wrap! I hope you will try it as soon as you can, Carol! Thank you!! Love all the recipes Lyuba. Thank you.